Babies change everything. It’s just a fact of life. Before I had my first child I thought I had a pretty clear ideas about how things would pan out when I returned to work. It all looked fairly simple in my head. In reality, my first year with a baby was rather different to how I’d imagined. Any working mum who manages to get out of the house in a white shirt not covered in kids mess is a magician!! When it came time to return to work I had an 11 month old who was still waking 2-3 times a night, breastfeeding 3-4 hourly and I was basically shattered. I was so far from ready to go back, but unfortunately our bank balance said otherwise so I really didn’t have a choice. Six and a half years and three kids later, things are pretty different. That non sleeping baby is now a 6 year old (who still doesn’t really like sleep) and has been followed up by two more babies (one who loves his sleep and one who takes after his big brother). Once again, I’m planning my return to work. This time around I’m feeling excited and ready. Three kids, working from home and no me time is taking its toll and I think a day or two a week at “work” will be a nice break. Over the next few months I’ve got a conference and a few other work commitments outside of the house and I’m getting ready to jump back into some part time work in my pre kids profession (I’m an Audiologist). One thing I do think I have more under control this time is the organisation of returning to work with kids. If you asked me what was the one thing that makes the biggest difference to our daily routine I would probably say pre-planning. I’m NOT a morning person and I hate feeling rushed first thing. Pre-planning everything really takes the stress away. When it comes to returning to work, planning is critical! 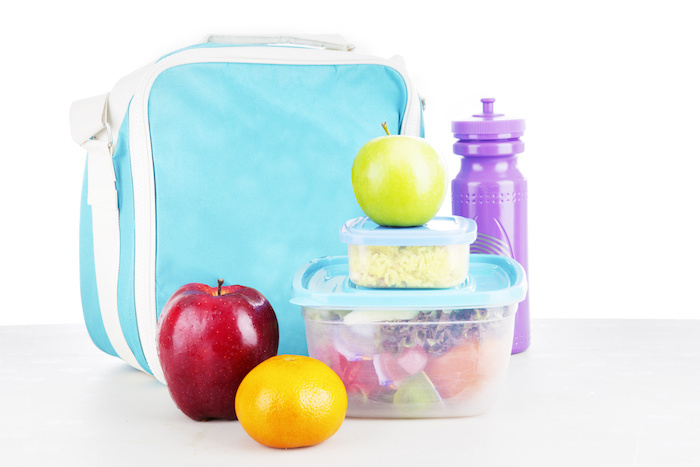 Prepare lunches the night before to save a rush in the morning. Mornings with kids are chaos if you need to be out of the house at a specific time. I try and make mornings as stress free as possible by preparing everything the night before. We lay out the days clothes (for everyone, me included), put bowls on the table for breakfast, prepare lunches, pack bags and make sure everything is ready to go. The more prepared you are the night before, the smoother the morning runs. It really does reduce stress and get the day started in a calm way. This is something I have become much better at over the years. If you have a partner then the morning tasks should be shared. My husband leaves for work at 5.30am so while he’s not actually present in the morning, he does help with the morning routine by preparing lunches or getting clothes ready the night before. Trying to organise dinner after a long day at work with kids at your feet is a nightmare. 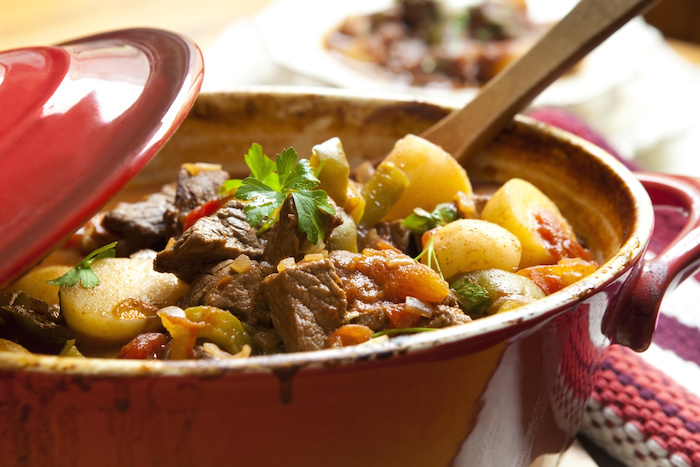 I generally avoid cooking at all on work days if at all possible by using the slow cooker. I prepare everything the night before and then put it on before I leave. One of my biggest fears when I was getting ready to return to work after my oldest son was that it would ruin our breastfeeding relationship. I had huge struggles getting him to feed in the early months (reflux, failure to thrive, low supply, you name it, we had it) and it was really important to me personally that he breastfed to 12+ months and self weaned. When I needed to return to work at 11 months, with him still having 2-3 days feeds, I was very concerned about how this would work out. My workplace was extremely supportive and I was very fortunate to have my own office so privacy for expressing wasn’t ever an issue. I’d previously used a Medela Swing electric pump to build my supply when he was younger so I continued to use this and found that he happily skipped all but one feed while I was at work, which I was able to replace with expressed breastmilk in a sippy cup. This time around I’m very fortunate that Medela gifted me a Freestyle double electric pump which is a whole other level of awesome when it comes to expressing. The main difference I have found is that it is much faster to express (doing both breasts at once). I’ve tried several different brands of breast pump (manual and electric) but I really like the Medela’s because they are compact and have a two phase expressing process that mimics how a baby actually feeds at the breast. I love the convenient bottle sized cooler that came with the Freestyle pump. If you are returning to work and wanting to continue breastfeeding I would highly recommend purchasing an electric pump. If it’s only a day or so a week then a single pump like the Swing would probably suffice but if you are likely to be expressing more frequently I would look into a double pump. I’m really happy with the Medela Freestyle and love that it comes with a full kit of everything you need (bottles, cooler bag ect). 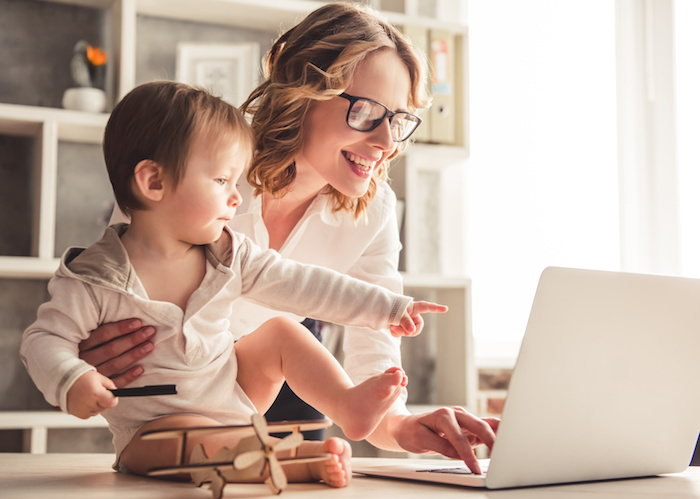 Returning to work doesn’t have to be the end of breastfeeding if you and your baby aren’t ready. I tried to express twice while at work in the early days and this time I’m planning to express once. We use the Medela Calma teat when giving milk in a bottle as he can then control the flow the same as he would at the breast. We’ve also effectively used a sippy cup which is a good option if your bub doesn’t take a bottle. Returning to work after having kids is a big adjustment. Along with all the emotions you may be feeling, the juggle of getting everyone organised and out the door can be stressful. Remember to cut yourself some slack and be kind to yourself (and your partner and kids!). Try not to let emotions run high, remain calm and don’t add to the chaos with yelling. One of the huge pluses of returning to work outside the home is the ability to carve out some “you time”. It may be your only chance to drink a hot cup of tea or pee on your own so take advantage of it and make sure you take some time out just for you! How old was your little one when you returned to work? How did you find it? 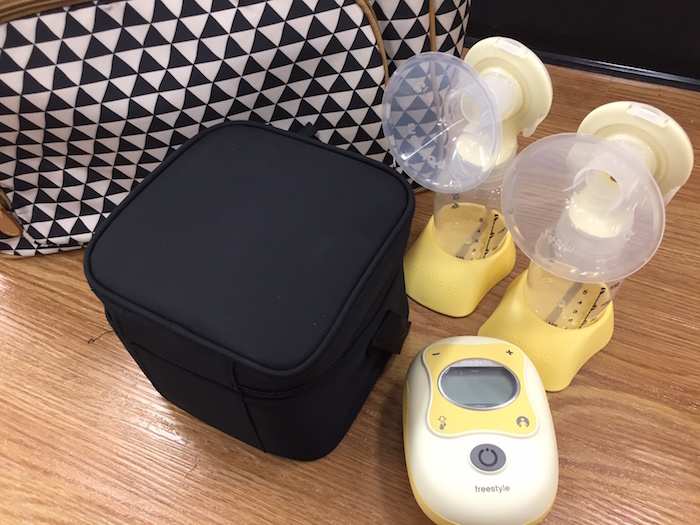 Medela provide breastfeeding mums, families and communities with the leading breastfeeding products, expert insights, and ongoing research and education to support the breastfeeding journey. Medela Australia provide support and education to mums along their journey through their FREE mobile app MyMedela and blog site. Great tips! Parenthood definitely changes everything and though it may seem hard to adjust at first, things get easier along the way. I definitely agree. I am not a morning person either so the night before is so important! It’s quite an overwhelming time, but your tips will ease the load for so many mums. I expressed at work for about four months and it worked out just fine. I agree! I also get everything ready the night before- my clothes, the kids clothes, the table is set for breakfast and lunches are done except for sandwiches. Makes my morning much more relaxed and sets me up for a good day!! I’m really grateful that I didn’t have to return to work while breastfeeding because it would have stressed me no end. These are great tips.